With the recent deaths of Senators Ted Kennedy of Massachusetts and Robert Byrd of West Virginia it brings up the question of term limitations. Senator Kennedy was elected to the Senate in 1962 and served for 48 years. Senator Byrd being elected to the Senate in 1958 and serving for 52 years. In my opinion the only person that should be able to celebrate a Jubilee in office is a distinguished little old lady who’s been known to wear a tiara from time to time. I have nothing against long serving members of the Legislature but where re-elections extends that term to 50 years that is simply too long. Both Senator Kennedy and Senator Byrd got elected to the U.S. Senate before I was born and I’m no spring chicken! Here in Canada I would suggest that our Members of Parliament would get to serve in six Parliaments this would give them a maximum term of 30 years but in reality much less. For the current Parliament it means for those who were elected in 1997 would be serving in their sixth Parliament (97 / 00 / 04 / 06 / 08 / 11). If the next election is in 2015 that means these MPs would have served in 6 Parliaments for a term of 18 years. The original idea came from a political cartoon in the 80s showing Brian, John, and Ed on the UP escalator and the general Canadian workforce on the DOWN escalator. This representing wages for each but it’s the taxpayers of that general workforce who pay the salaries of Mr. Mulroney, Turner, and Broadbent! The salaries of those in the public sector should be aligned in some manner with those of the private sector. It is a plank in the national platform of the Federalist Party that a Federalist government shall introduce into Parliament and the Federalist Members of Parliament shall vote for a base wage act. All salaries and benefits paid to those hired by the government of Canada shall be a multiple of the base wage this is called the base wage multiplier (BWM). 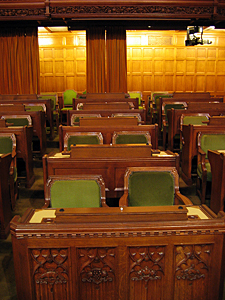 The base wage is set solely by the House of Commons with a motion of adjustment passed by the House by a two-thirds majority vote. The base wage is to be currently set at $900. That Statistics Canada by April first of each year shall determine the average annual full time salary and the average monthly unemployment rate for the preceding year. The unemployment rate shall be subtracted from the annual salary and divided by 52. 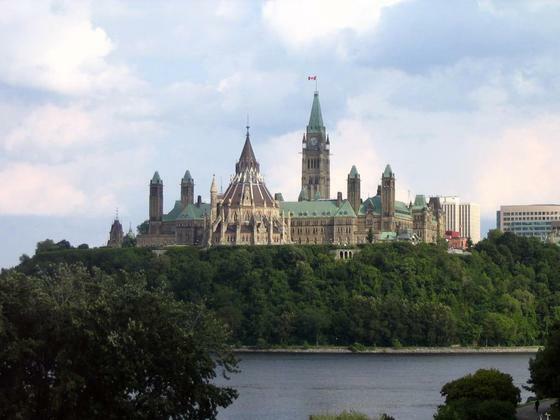 The first number to 2 significant figures that is equal or higher shall be recommended to the House of Commons to be set as the Base wage for the government of Canada. This shall go into effect on July first of each year. That unless stated otherwise all employees shall be paid a Health and retirement benefit equal to half their weekly salary paid to them each month. This compensation of employment is paid directly to the employee. Using an annual salary of $51,300 and an unemployment rate of 6.9% this gives you a base wage of $920. That is (51300 – 6.9%) / 52 = 918.47 round up, two significant figures for 920. If MPs had a BWM (Base Wage Multiplier) of 3.5 their employment compensation would be a weekly salary of (3.5 * 920) $3,220 or $167,440 a year and a Health and retirement package of $1610 per month or half their weekly salary. This gives you a total of salary plus benefit of $186,760. What they currently receive is $160,200, plus that gold plated pension plan, plus Health benefits, and what ever else they voted for themselves. Last year I mailed a letter to Mr. Hyer and yes the Canada post kind. I write one to every MP who is an Independent or quits a Party and then sits as an Independent. He sent me a letter back and found my ideas very interesting. In my letter I stated the following. If you wont our politics to change you must first change our political parties. Does MP stand for member of Parliament or member of Party. If its the latter your just a pledged delegate to the House. In the Federalist party its the former. The Party platform is created by the national policy committee which is the Federalist government-in-waiting. Passed by the Federal council the national leadership. Passed in a joint vote by 2/3 majorities through the National Assembly (the registered members) and the National Congress (The top two candidates for the nomination 676 members). Each Federalist MP should state their own opinion on national policy. 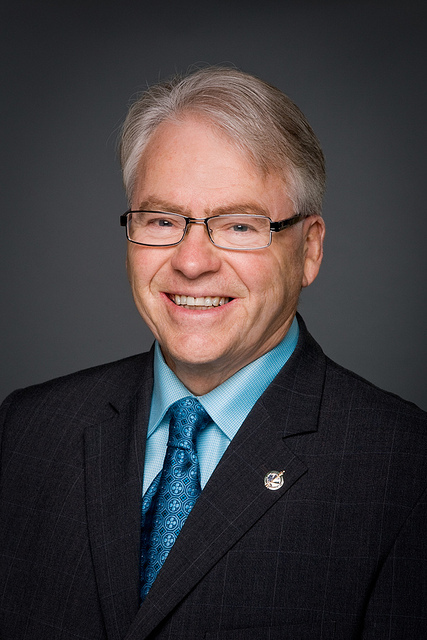 Each Federalist MP can pass on voting as a party member a number of times in each Parliament equal to the number of times they have been elected for Mr. Hyer that would be two. They can still break Party ranks and vote independently but with penalties. The first time is suspension from caucus for 3 months. The second is suspension from caucus and Congress for 6 months. The third results in suspension of party membership for 1 year. The third is the last time for the next penalty is revoking your membership in the Party. 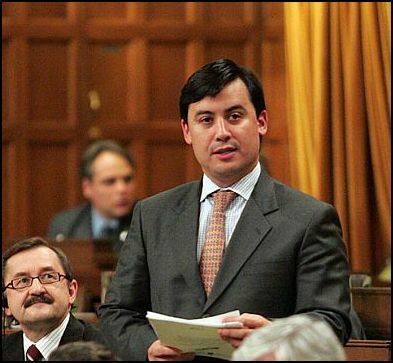 You’re both a member of Parliament and a candidate for the Federalist party but member of Parliament comes first because its Canadians who pay your salary and not the Party or it’s Leader. Convention The registration fee is $695 PLUS travel PLUS lodging PLUS meals. Assembly Registration fee is $100 NO travel NO lodging NO meals. First registration is good for 1 year, the second for 2 years, the third for 3 etc. It gets cheaper with seniority. Assembly Vote by Internet. Voting period of 72 hours and cast your ballot anywhere you have Internet access. 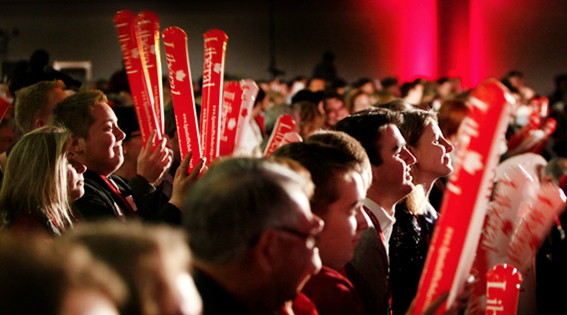 Convention Votes in the riding associations, provincial associations, party commissions, delegate selections, provincial conventions, organizing committees, and how much of this is behind closed doors? Assembly Doing the August vote of the National Assembly by a draft of the Standing orders. Any member of the National Assembly may introduce one resolution that is in one of the following classes (constitutional amendment / standing order / national bylaw / policy resolution / motion). A registration fee of $10 applies but not if the member is a monthly donor of $10/month. This is to keep down the number of resolutions and Motions is anything not covered by the other four. Any member of the Assembly who didn’t introduce a resolution can endorse a resolution in each of the classes (constitutional amendment / standing order / national bylaw / policy resolution / motion) for a total of 5 endorsements. This endorsement is public, free, and can’t be revoked once made. June 1: The Clerk of the Assembly issues what is on the ballot for the August vote of the National Assembly. Official resolutions are those that go to the Assembly from the other bodies in the Party. Tribunal decisions can be over ruled by a vote of the National Congress and the Assembly. An automatic Motion to rescind goes to a joint vote before both. The National executive can introduce to a joint vote of the Assembly and Congress up to 5 motions to pass, revise, or repeal national bylaws. The Federal council introducing any key or binding policy resolutions to a joint vote of the Congress and Assembly. All motions passed by the National Congress in its last vote. Member resolutions are those introduced by the members. AHS! The most endorsed constitutional amendment. The most endorsed standing order of the Assembly. The 5 most endorsed national bylaw resolutions. The 10 most endorsed policy resolutions. The most endorsed policy resolution in each province. This gives you 10 to 20 policy resolutions going to a vote. The 10 most endorsed motions. June 2 to August 28 the National Assembly has 88 days for discussion and debate through the party’s website, blogs, and social media. The National Assembly votes starts August 29 at 1AM eastern and ends August 31 at 11PM eastern. Actually it’s a 70-hour voting period not a 72-hour period. This is to avoid any confusion. Did a Google+ hangout event for 2PM EST but no one showed up. Unless otherwise shall do one every Sunday. Afternoon chat for a Q&A with the Founder of the Federalist party of Canada.